For Saint Benedict the search for God is the fundamental element of every monastic vocation. This is precisely the main point of Chapter 58 dedicated to the admission of candidates. Our way of life, as defined by Saint Benedict, follows that desire for God. Everything in the monastery, the day-to-day organization, the times of prayer and work, the relationships between the brothers, obedience to the superior, our pastoral activity, our dealing with the outside world and many other dimensions of our life, is conditioned by that fundamental movement that leads us to God. Perhaps looking at the daily schedule in our monastery can give a clear idea of ​​how the monks of Monte Irago live that particular search for God in the here and now of their community. The monks begin the day at 6 o'clock and at 6.30 they celebrate the Office of Vigils in the Chapter Room of the Monastery. In the stillness of the night they pray Vigils to consecrate the hours of darkness and put it to rest before starting a new day. 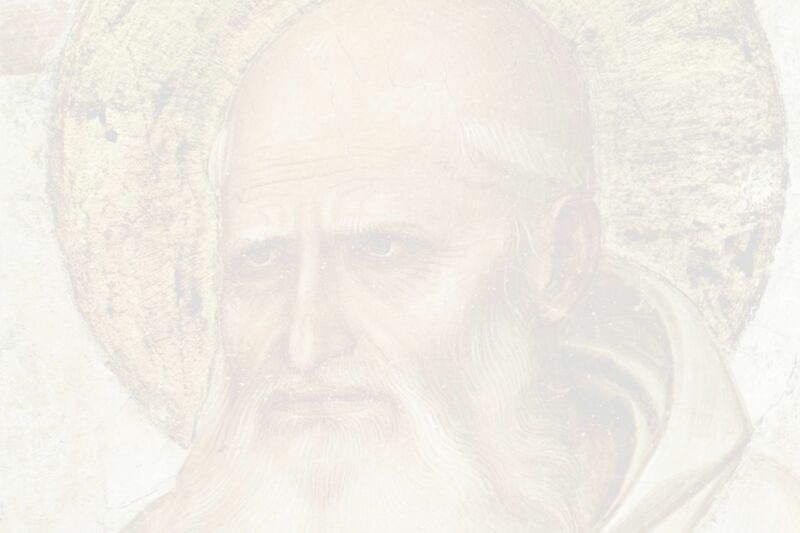 For Saint Benedict prayer is not just a community exercise, but he also gives great importance to private prayer.  That is why after Vigils the monks dedicate themselves for some time to lectio divina, prayer centred on the calm and tranquil reading of the Bible, of Commentaries of the Holy Fathers, or some other spiritual reading. After this time dedicated to lectio, the monks meet at 7.30 am in the church to sing Lauds, the Morning Prayer. There, together with pilgrims and guests they praise God at the beginning of each day for the admirable work of Creation that brings forth every morning a new day, receiving the “Sun” that is born from above, and that will accompany us throughout the new day. Immediately after Lauds, and for many days of the year, the brothers have breakfast together with the guests and pilgrims. For the Christian, the celebration of the Eucharist is the centre of our whole life. That is why every day at 9:00 am – on Sundays at 12:30 - we celebrate what is The sacrament of our faith along with the pilgrims and people of the village. Just before Lunch the brothers meet again in the Chapter Room of the monastery for Midday Prayer at 13.45. Then they have lunch in the monastery, together with the guests and the pilgrims. It begins with a biblical reading. During the meal a respectful silence is maintained that allows the monks and the guest to continue in an atmosphere of tranquillity and seclusion. After a time of rest, the monks again dedicate the afternoon to work. If the morning focuses on more domestic work, the evening in our monastery has a more pastoral dimension. By then, many of the pilgrims will have already reached Rabanal. Our presence in the hostels, the dialogue and listening to pilgrims who come to the monastery to talk to the monks and the attention given to groups occupy much of this time. Along with these tasks, we must also mention the service we provide in our small shop, the administrative tasks, and the attention to several parishes in the area. At 7:00 pm, one of the most important moments of the day is the celebration of the Office of Vespers in the Church. Many pilgrims come to celebrate this evening prayer with us, to thank God at the ending of the day. Like all liturgical prayers, the singing of the psalms alternates with some reading. Monks and pilgrims are once more united in prayer before the Lord. After Vespers there is an opportunity either to have confession or a personal talk with a monk. Dinner at 20.30 takes place in a family atmosphere. 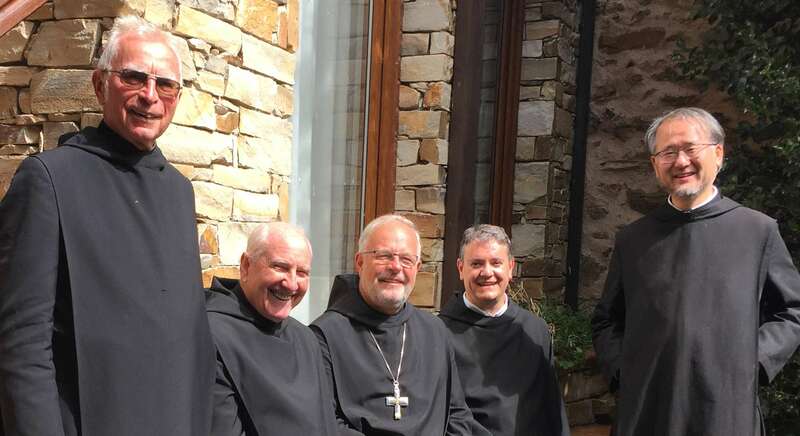 It is an opportunity for guests and pilgrims to share with the community something of their day’s journey and engage in an open discussion about their experiences of the Way or to talk about our monastic life. At the end of the dinner, the prayer called Compline terminates the day at 9.30 pm. It is an intimate prayer that opens the doors to the night and, therefore, to the well-deserved night rest. At the end of Compline, the superior gives the Blessing of Pilgrims to all who have come to the Church to pray together. According to the monastic tradition, from this moment we begin the so-called great silence. It is a time to withdraw and recollect, to end the day in that silence and solitude in which God likes to be particularly present.